Not all is lost in the name of civilization, no, not yet! 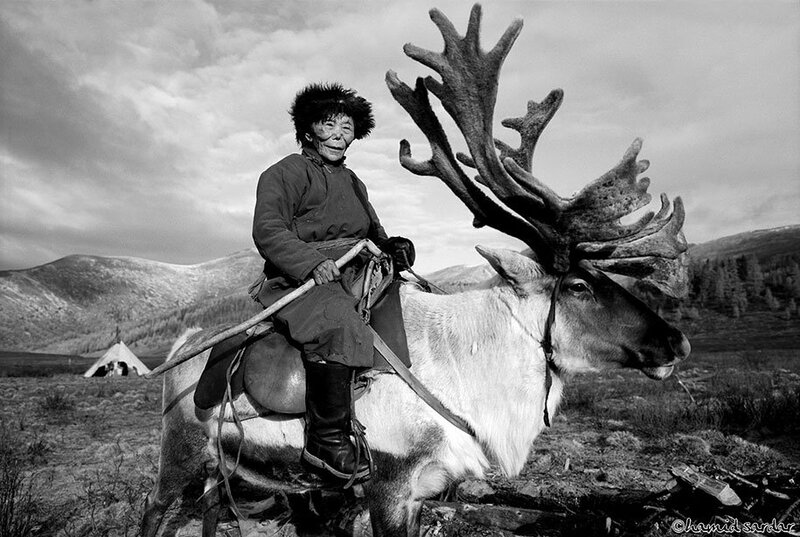 Also, not all the Mongolians are ferocious like Genghis Khan, or his angry horsemen. 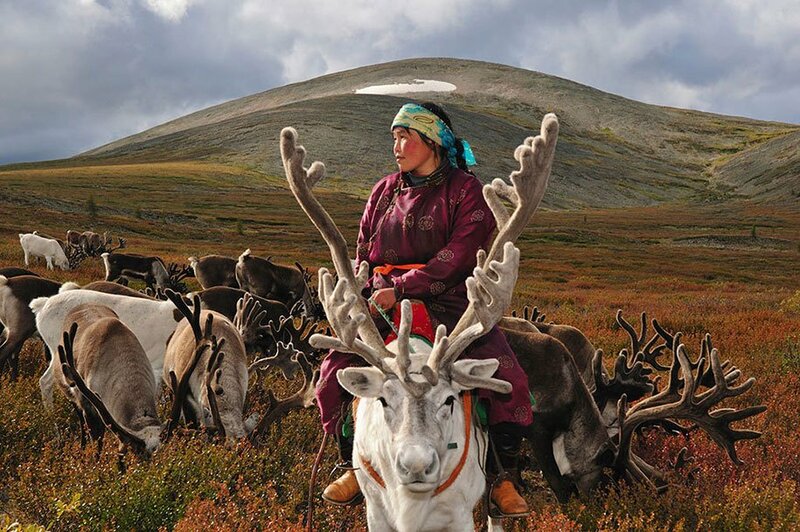 Mongolia still has peaceful people living in the north, who leads a nomadic life far, far away from so called civilization. They herd reindeer, hunts down wild elk, and survive on eating cheese. And by doing so, they captured the attention of Hamid Sardar-Afkhami. 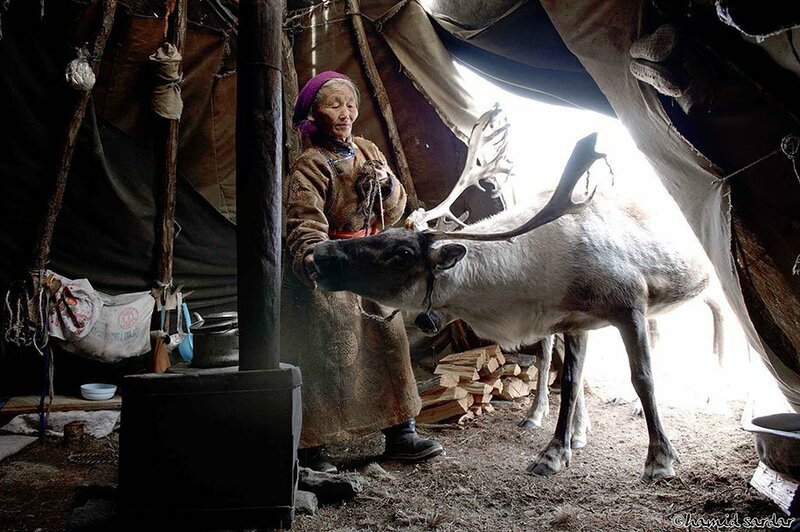 The Harvard PhD anthropologist has chosen the Dukha people of Mongolia, as the subject of his documentary ‘The Reindeer People’; and we enjoyed the shots too much to resist ourselves from posting some of them here. So enjoy the Dukha people, or the elves of dragon age! This post was inspired by hamidsardarphoto Thanks! 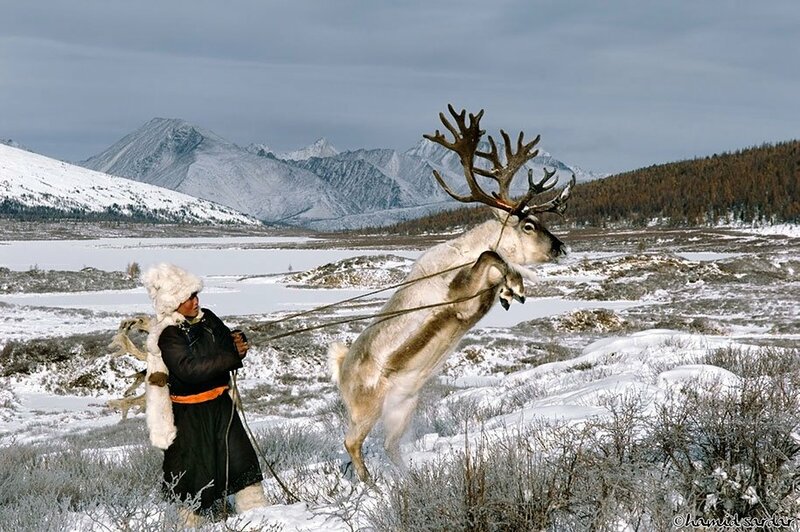 Mongolian people plays with Reindeer and keep them as a pet whereas we are just limited with the cats and dogs. Cats can be the best companion for the kids. Find out Kids and Cats. Different civilizations have different cultures. Wedding is a rich part of every culture and some of it are still alive, surviving from the cultural aggression. Get to know the Wedding Dresses And Weddings From Diffrent Cultures. 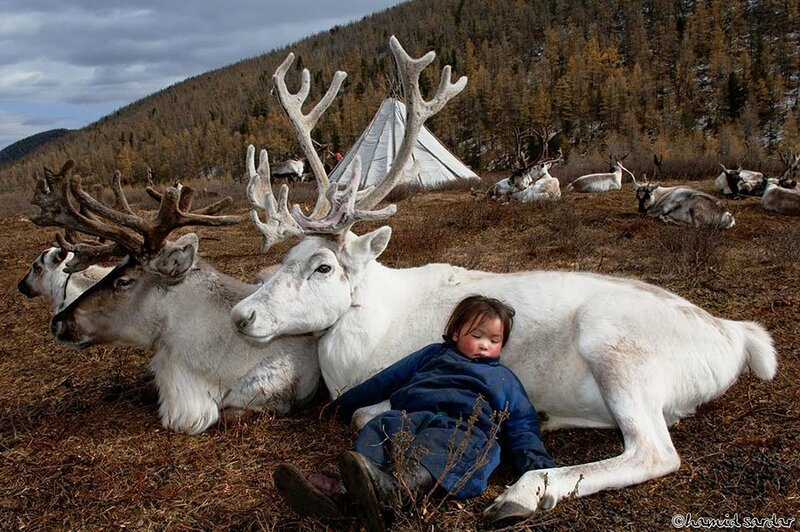 Children and Animals look divine together. A Russian photographer named Elena Karneeva proved it. Don’t miss Children and Animals. 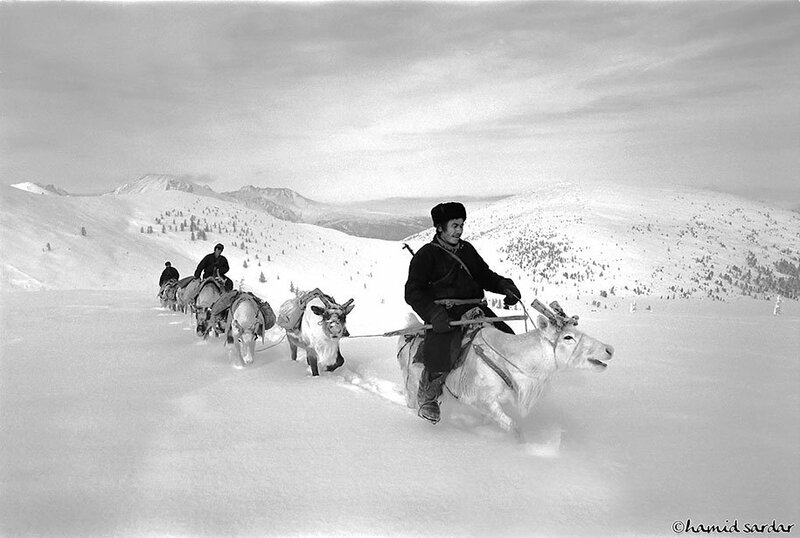 Here at Briff.me, knowing that our precious time together on Earth is waaay too short for a long feed, we bring you the best of the best, like this special briff about Reindeer People. If you want to get more posts like this, click like on the Briff.me Facebook.